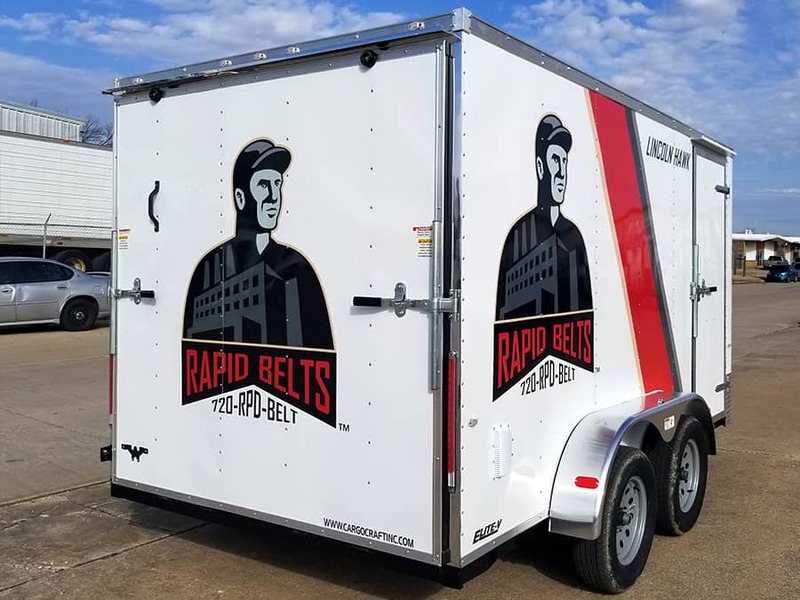 Not all vehicles and trailers need to have wraps or partial wraps to have a nice clean graphics package. 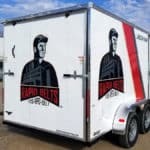 On this trailer, we did what we consider a print and cut package. It has large printed logos that have been contour cut and a printed accent stripe. The result is very simple and clean yet eye catching design. 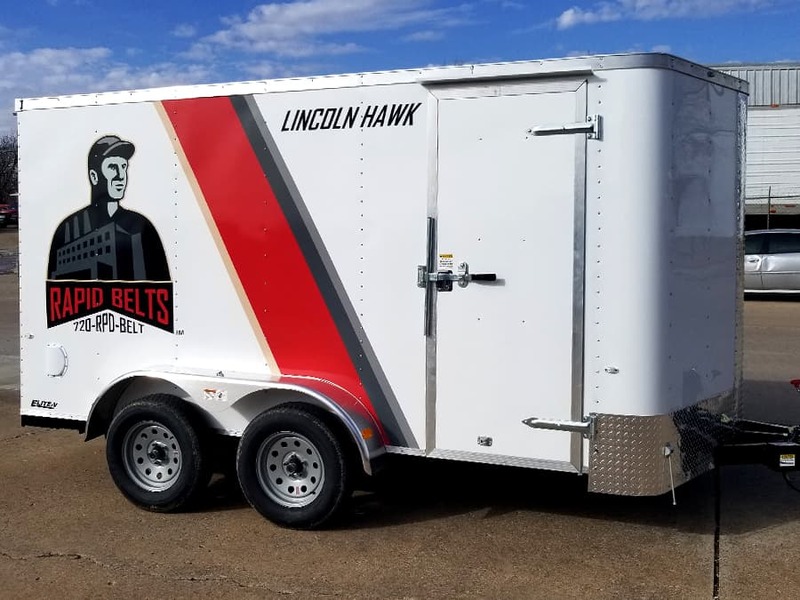 Give Precision Sign & Design a call today at 918-430-1102 to find out more about graphics options for your trailer or company vehicles. 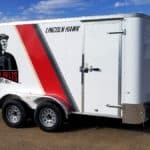 This entry was posted in Vehicle Graphics and tagged Branding Commerical Vehicles, Commerical Vehicle Graphics, Vehicle Wrap on March 20, 2018 by precision_sign. 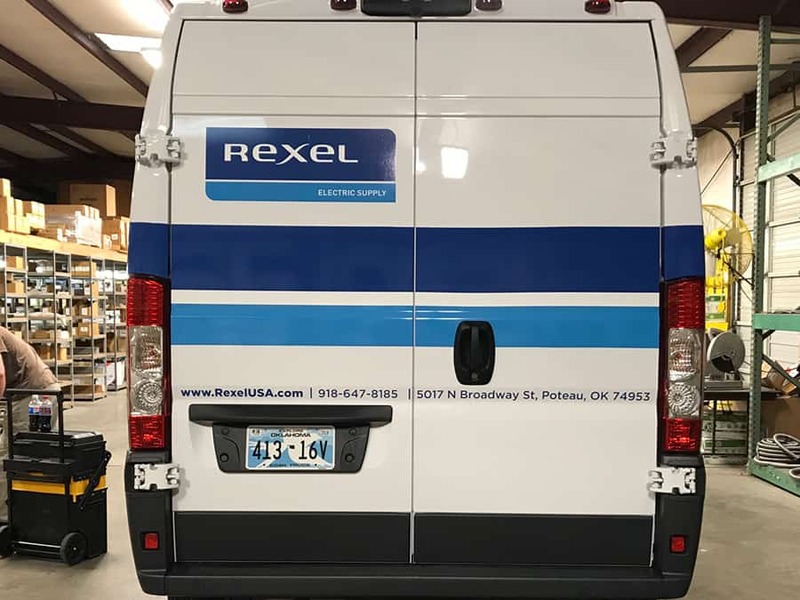 While we focus primarily on commercial fleet accounts, we can also do customization graphics for your vehicle. 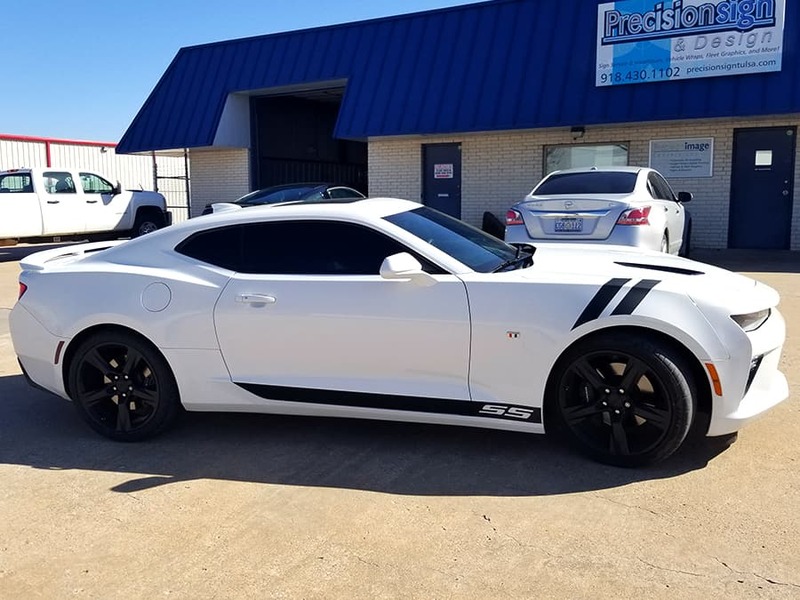 This new Camaro got a new custom look with fender and door stripes. The wheels were not a gloss finish, so we used 3M 1080 Series matte black vinyl to do the stripes with. 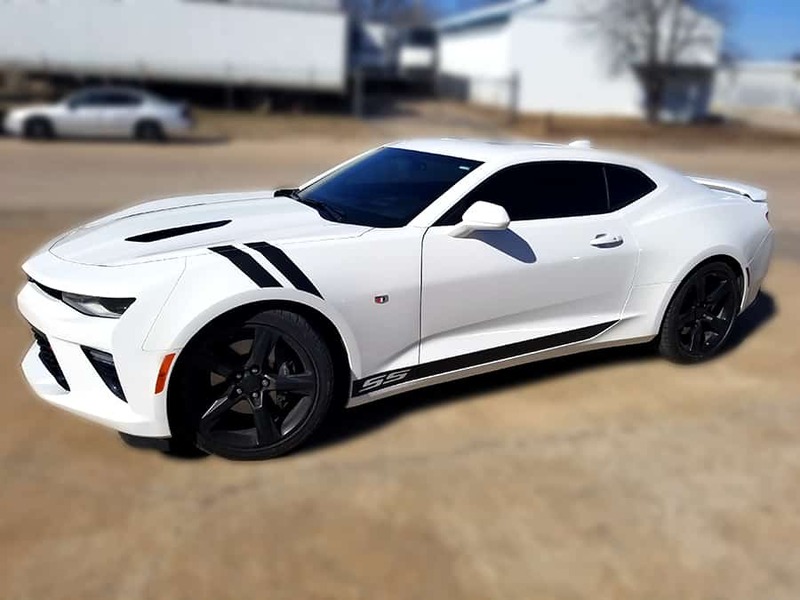 The stripes ended up looking like they came from the factory and set this customer’s car apart from the herd. 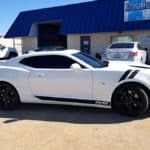 Give Precision Sign & Design a call today at 918-430-1102 to find out more about customizing your personal vehicle or having a graphics package done for your work vehicle. 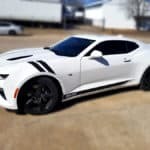 This entry was posted in Vehicle Graphics and tagged customization graphics on March 17, 2018 by precision_sign. Large construction projects can take a long time to complete from beginning to end. From planning, to approval, to ground work to actually building the structure, years can pass. 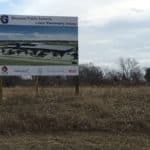 Construction site signs provide an opportunity to fulfill several functions: inform the public what is being built, show the public what the new building will look like, and advertising for the various companies involved. 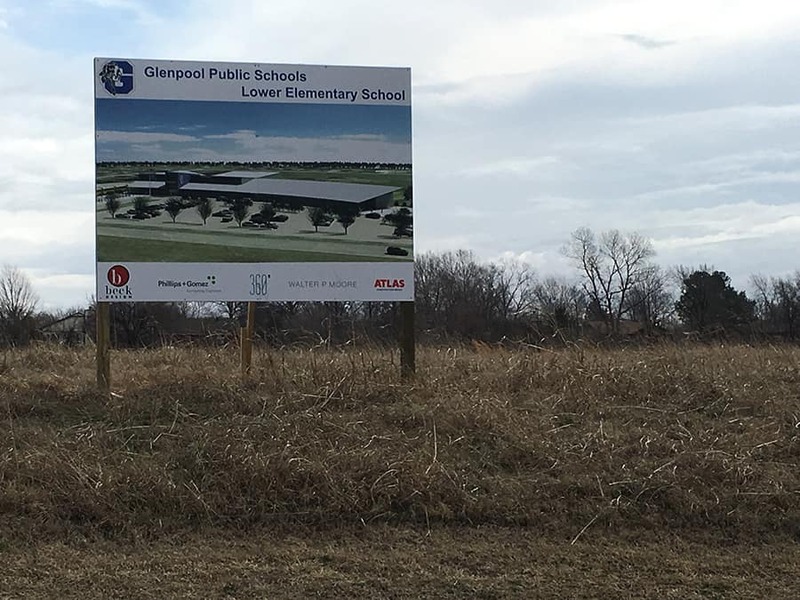 This is a construction site sign for a new elementary school being built in Glenpool, Oklahoma. 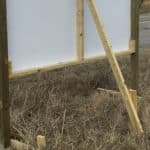 Since we set the posts and install the sign panels in one visit, additional bracing is used to keep the posts level and in place while the concrete cures. 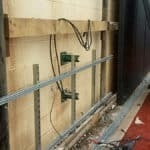 The customer then has the option to remove the bracing a few days later for a cleaner look or to just leave them in place. 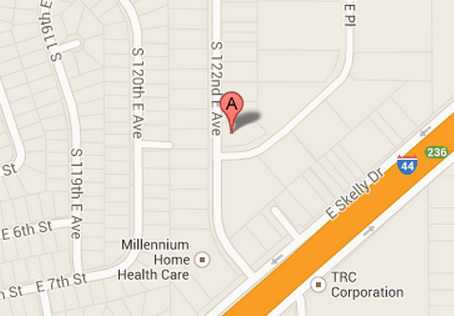 Give Precision Sign & Design a call today at 918-430-1102 to find out more about have a site sign made and installed. 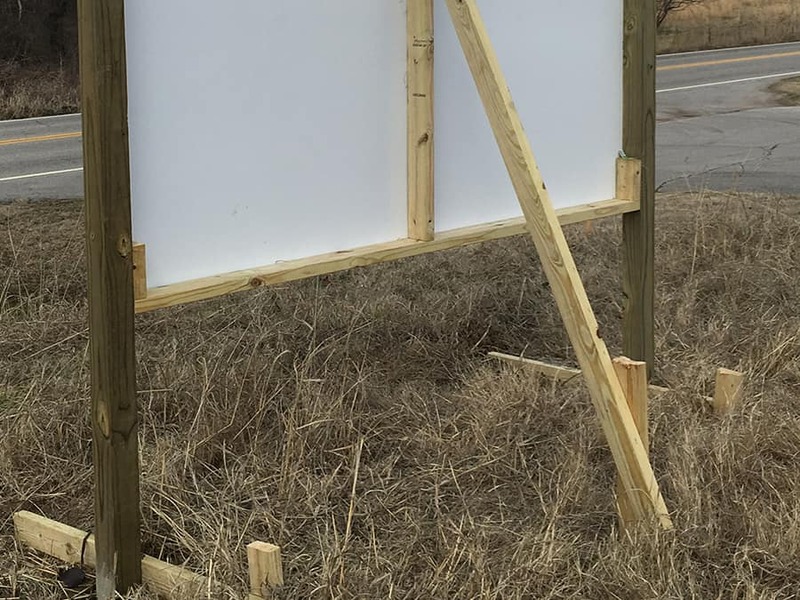 This entry was posted in Signs & Banners and tagged construction projects, Construction Site Sign, outdoor advertising, Sign Installation, signs, Site Sign on March 13, 2018 by precision_sign. 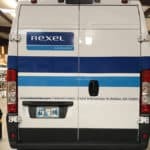 Print and cut graphics package on a Dodge ProMaster van. These vans provide excellent platforms to advertise your business. This graphics package falls between what we would consider a print/cut package and a partial wrap. This creates a large visual impact without the cost of a partial or full vehicle wrap. We did this installation at the customer’s location in Poteau so even if you are not in the Tulsa area, we can come to you if needed. 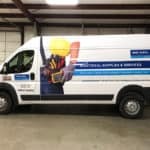 Give Precision Sign & Design a call today at 918-430-1102 to find out more about branding your company vehicles. 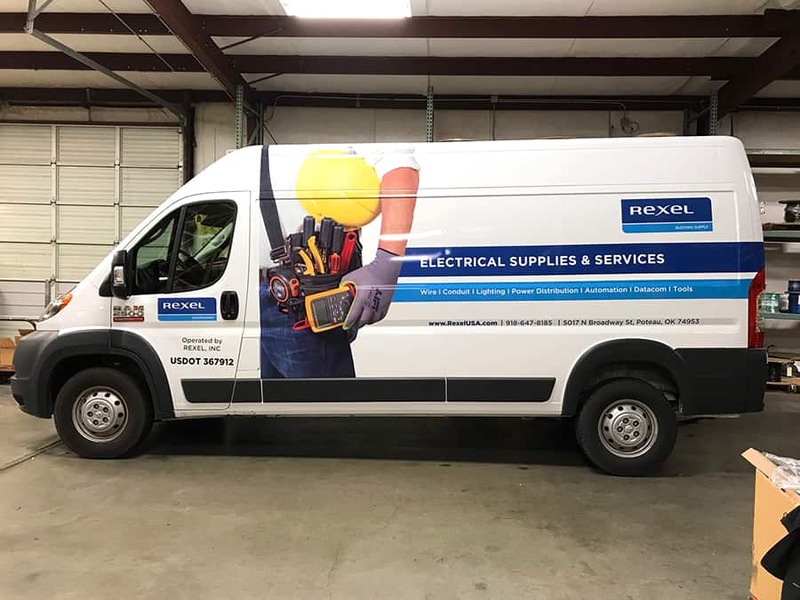 This entry was posted in Vehicle Graphics, Vehicle Wraps and tagged Branding Commerical Vehicles, Car wrap, Cargo Van, Commerical Vehicle Graphics, Fleet Graphic, Graphics, Service Cargo Van, Vehicle Wrap, Work Van on March 9, 2018 by precision_sign. This project was an installation only project. 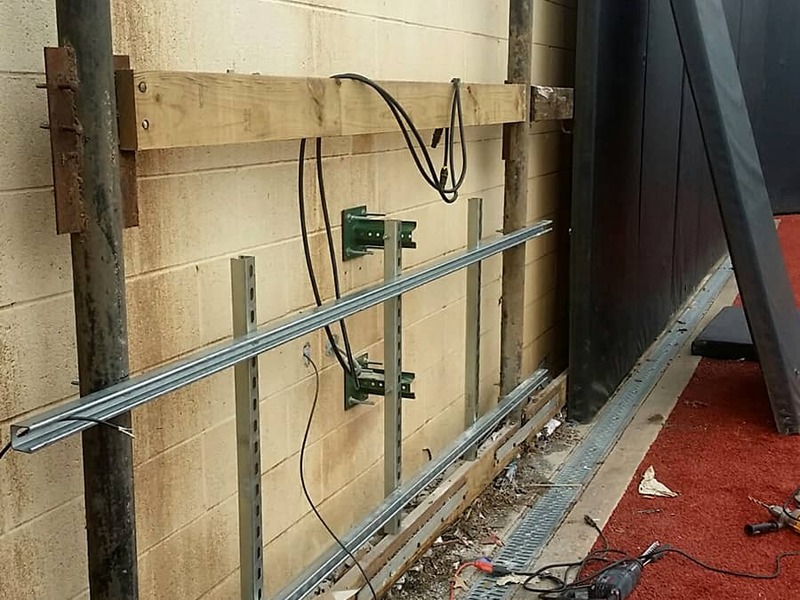 After some manufacturing and shipping delays, the delivery of the digital board was not going to arrive until the day before it needed to be installed and operation. 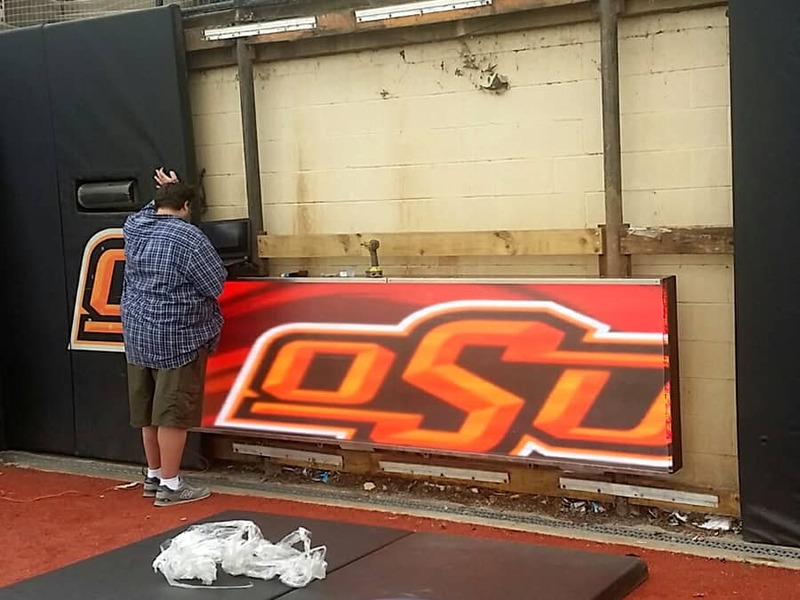 We were able to coordinate with the manufacturer sales staff, the Oklahoma State facilities, and the data technician to get this installed just in the nick of time. 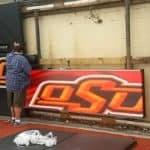 Give Precision Sign & Design a call today at 918-430-1102 to find out more about installation and/or removal projects. This entry was posted in Sign Service, Signs & Banners and tagged Digital Sign, Sign Installation on March 5, 2018 by precision_sign.